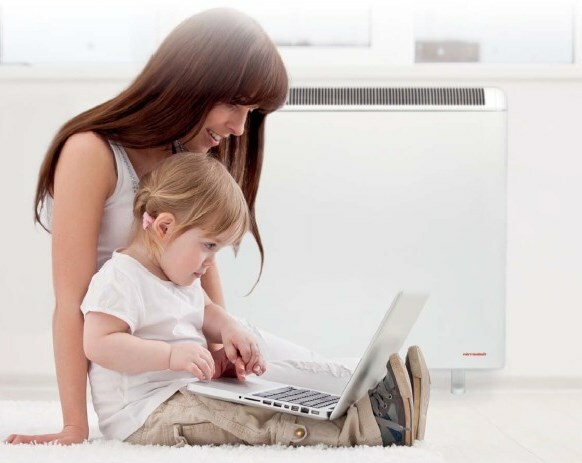 A new ECO Scheme, ECO3 was introduced in October 2018 which now restricts grants to replace broken boilers and broken electric storage heaters to home owners only. If you are a tenant with a broken heating system, you should contact your landlord, your energy supplier and your local authority housing department, as other grants may be available. Who qualifies for a grant from the Affordable Warmth Scheme? You must be an ‘owner-occupier’ to qualify for a grant to help replace a broken heating system. If your home is privately rented, owned by the council or a housing association, or is a shared ownership home, you will not qualify for an ECO3 grant to help replace your broken heating system. You receive one of the ECO3 Scheme’s Qualifying State Benefits, Tax Credits or other Allowances. Additional Qualifying Allowances were added in October 2018 such as PIP, DLA and Child Benefit. If you didn’t qualify under the old ECO Scheme, you may qualify under ECO3 now. The electric storage heaters in your home are broken. The Gas, Oil or LPG central heating boiler in your home is broken. Your ECO Grant may not cover the full cost of installation. The Affordable Warmth Scheme is part of the Government’s ECO Scheme which was introduced in January 2013 to fight fuel poverty and to help reduce carbon emissions and the effects of climate change. The scheme is designed to provide funding to replace broken electric storage heaters and broken central heating boilers for home owners who can’t afford to replace them. This is why it targets householders who receive a means-tested State Benefit and groups such as Pensioners, Single Parents and recipients of some MOD administered allowances. Major changes to the ECO Scheme were introduced on 1st October 2018 with a widening of Affordable Warmth Scheme qualifying criteria and a more focused targeting of fuel poverty. Changes to the Affordable Warmth Scheme introduced in October 2018 restrict ECO3 Grants to help replace broken boilers and broken electric storage heaters to owner occupiers. Private landlords are responsible to replace broken heating systems in their rental properties, under MEES Regulations. According to the Energy Saving Trust, replacing an old, inefficient or faulty central heating boiler with a modern A rated boiler could reduce your energy bills by up to £350 per year, whilst providing peace of mind that you have an energy efficient boiler to keep your home warm. Modern electric night storage heaters are much more energy efficient than previous versions. They are also better insulated so as not to lose the heat stored in them overnight. Both heat input and heat output are more controllable to ensure that you are not wasting energy, whilst your home stays warmer. Cavity Wall Insulation Grants and Loft Insulation Grants are also available from the Affordable Warmth Scheme. You must live in your own home to qualify for an ECO3 Grant to help replace your broken central heating boiler or broken electric storage heaters. Only mains gas, oil and LPG boilers are included in the scheme, coal boilers are now excluded. Affordable Warmth Scheme ECO3 grants are not available to tenants of privately rented properties to help replace broken heating systems in their homes. Regulations were introduced in April 2018 to make private landlords responsible for providing working heating systems in their rental properties. The same applies to householders in Council Housing and Housing Association Homes as well as Shared Ownership homes. Other grants may be available and if you do not own your home you should contact your landlord, your energy company and the housing department of your local authority. To qualify for a STORAGE HEATER GRANT or a BOILER GRANT with the Affordable Warmth Scheme you must receive at least one of the following State Benefits, Tax Credits or other Allowances and satisfy any associated qualifying criteria. Click on the benefit you receive below for more information and to see any additional qualifying requirements. You receive Guaranteed Pension Credit. Savings Credit is no longer included in the qualifying criteria. Pension Credit is an additional payment on top of your ordinary State Pension, which you must have made a claim for. You receive Child Tax Credit. Under ECO3 Affordable Warmth Scheme rules from October 2018 there is no longer a requirement that your total household income is below an income threshold for your household composition. You receive Working Tax Credit. You receive Income Based Job Seeker’s Allowance. Contribution Based JSA does not qualify. You receive Income Related Employment & Support Allowance. Contribution Based ESA does not qualify. The Affordable Warmth Scheme provides funding for storage heater grants to help replace your EXISTING BROKEN electric storage heaters. This is a ‘storage heater replacement scheme’ and if you do not have any electric night storage heaters currently installed in your home, you may not qualify for a grant to have new heaters installed under this part of ECO3. However, if your only source of heating is electric panel heaters or similar, you may qualify for an ECO Grant to install electric storage heaters. The Affordable Warmth Scheme provides funding for boiler grants to help replace EXISTING natural gas boilers, oil boilers and LPG boilers. However, the boiler installed in your home must be broken. We have processed over 25,000 Affordable Warmth Scheme Storage Heater Grants and Boiler Grants. 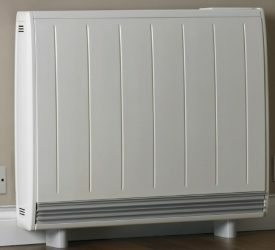 What will my storage heater grant cover? The Affordable Warmth Scheme provides funding to replace broken electric night storage heaters. ECO funding also pays for a FREE SURVEY to establish whether you qualify for the scheme. The amount of your storage heater grant will depend upon the type of property you live in, how many bedrooms you have and several other factors. If you qualify for a storage heater grant, Affordable Warmth Scheme funding will only cover the cost of replacing the existing storage heaters and a limited amount of electrical work. Modern electric storage heaters are fitted with a heater and convector fan to provide heat additional to that stored overnight. If you are on the Economy 7 electricity tariff or similar, you may need an additional electrical supply to your new heaters to enable the convector fan to work. The full cost of this may not be covered by your Affordable Warmth Scheme storage heater grant. If additional work is required, you may be asked to pay for this. Also, because of the way storage heater grants are calculated, your grant may not cover the full cost of your new storage heaters installation and a contribution may be required. If this happens in your case, you can refuse to contribute (but the work may not be carried out), negotiate a lower amount with the installer, or even apply again to get another quotation from a different installer. We advise you to consider your options with care. 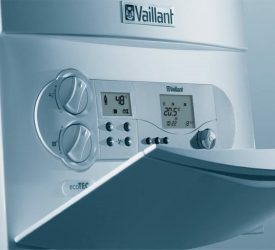 What will my boiler grant cover? 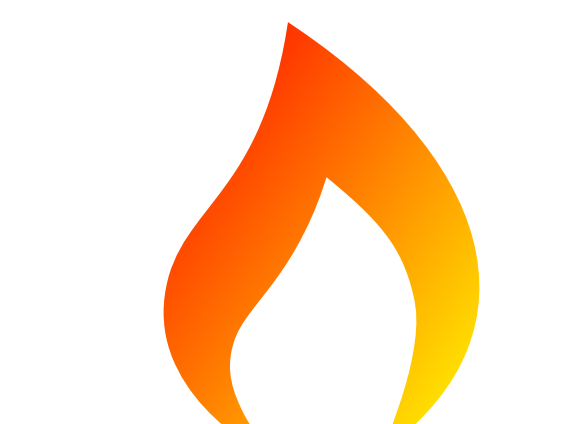 The Affordable Warmth Scheme provides funding to replace broken oil boilers, LPG boilers and mains gas boilers. ECO funding also pays for a FREE SURVEY to establish whether you qualify for the scheme. The amount of your boiler grant will depend upon the type of property you live in, how many bedrooms you have and several other factors. If you qualify for a boiler grant, Affordable Warmth Scheme funding will only cover the cost of replacing the central heating boiler and a limited amount of pipework. It does not cover full heating systems, radiators, pumps or control systems. If additional work is required, you may be asked to pay for this. Also, because of the way boiler grants are calculated, your Affordable Warmth Scheme grant may not cover the full cost of your boiler installation and a contribution may be required. How are ECO Grants Calculated? The way that Boiler Grants, Storage Heater Grants, Cavity Wall Insulation Grants and Loft Insulation Grants awarded under the Affordable Warmth Scheme are calculated is complicated to say the least. More external walls. For example, a detached house normally has 4 external walls, a semi-detached house 3 external walls and a mid-terraced house just 2. More bedrooms. A four bedroom semi-detached house will attract a higher grant than a three bedroom semi-detached house. Larger homes (by volume) attract higher grants than smaller homes. Properties with solid walls attract higher grants than those with cavity walls. Properties with heating systems which use oil, LPG or electricity attract higher grants than those which use mains gas. Badly insulated properties attract higher grants than those which are well insulated (cavity wall insulation, loft insulation and double glazing are taken into account). Taking account of all of the factors which can affect your ECO grant, there are over 10,000 different permutations. Your Affordable Warmth Scheme grant calculation will produce a figure which approximates the long term savings in carbon emissions you will achieve over the lifetime of your new heating system or insulation, by having it upgraded. The greater your long term savings in carbon emissions, the higher your grant. The main driving force behind the ECO Scheme is to reduce carbon emissions from the domestic housing stock in the UK. This can generally be best achieved by improving the energy efficiency of large badly insulated buildings with off-gas heating systems. It is no surprise then, that this type of home attracts the highest ECO grants. Once the ECO grant for your home is calculated it is compared to the cost of replacing your boiler or storage heaters with more energy efficient ones to determine how much, if any, your contribution will be. If you require a more detailed explanation of the calculation of the ECO grant in your particular case, you need to speak to the accredited installer who is dealing with your ECO grant application. If you represent an installation company with ECO Funding and you would like to discuss enquiries for boiler grants or storage heater grants, please click HERE. If you are a private landlord you are responsible for providing a working heating system in your rental properties under MEES Regulations. Avon, Bedfordshire, Berkshire, Buckinghamshire, Cambridgeshire, Cheshire, Cleveland, Cornwall, Cumbria, Derbyshire, Devon, Dorset, Durham, East Riding of Yorkshire, East Sussex, Essex, Gloucestershire, Greater London, Greater Manchester, Hampshire, Herefordshire, Hertfordshire, Humberside, Kent, Lancashire, Leicestershire, Lincolnshire, Merseyside, Middlesex, Norfolk, North Yorkshire, Northamptonshire, Northumberland, Nottinghamshire, Oxfordshire, Rutland, Shropshire, Somerset, South Yorkshire, Staffordshire, Suffolk, Surrey, Tyne & Wear, Warwickshire, West Midlands, West Sussex, West Yorkshire, Westmorland, Wiltshire and Worcestershire. Anglesey, Blaenau Gwent, Bridgend, Caerphilly, Cardiff, Carmarthenshire, Ceredigion, Clwyd, Conwy, Denbighshire, Dyfed, Flintshire, Gwent, Gwynedd, Merthyr Tydfil, Monmouthshire, Mid Glamorgan, Neath Port Talbot, Newport, Pembrokeshire, Powys, Rhondda Cynon Taff, South Glamorgan Swansea, Torfaen, Vale of Glamorgan and Wrexham. Aberdeenshire, Angus, Ayrshire, Banffshire, Berwickshire, Borders, Caithness, Clackmannanshire, Dumfries & Galloway, Dunbartonshire, East Ayrshire, East Dunbartonshire, East Lothian, East Renfrewshire, Fife, Highland, Inverclyde, Kincardineshire, Lanarkshire, Midlothian, Moray, North Ayrshire, North Lanarkshire, Perth & Kinross, Renfrewshire, South Ayrshire, South Lanarkshire, Stirlingshire, West Dunbartonshire and West Lothian.